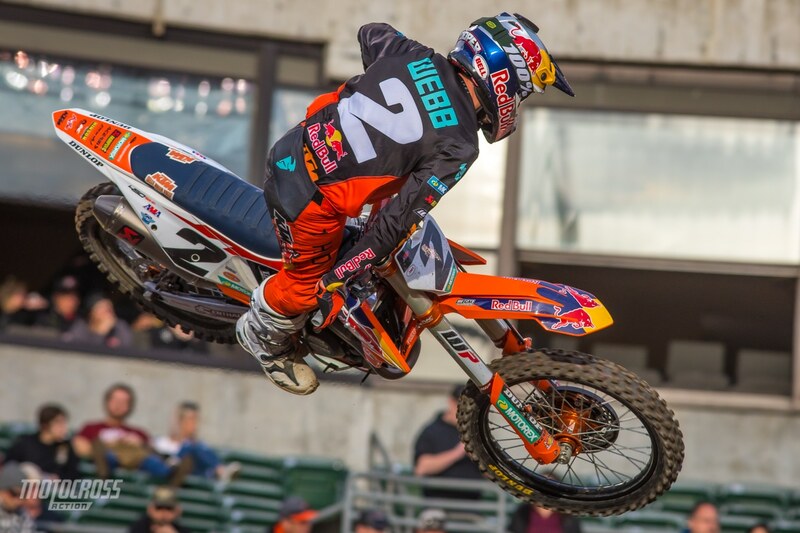 Cooper Webb goes back-to-back with another win! 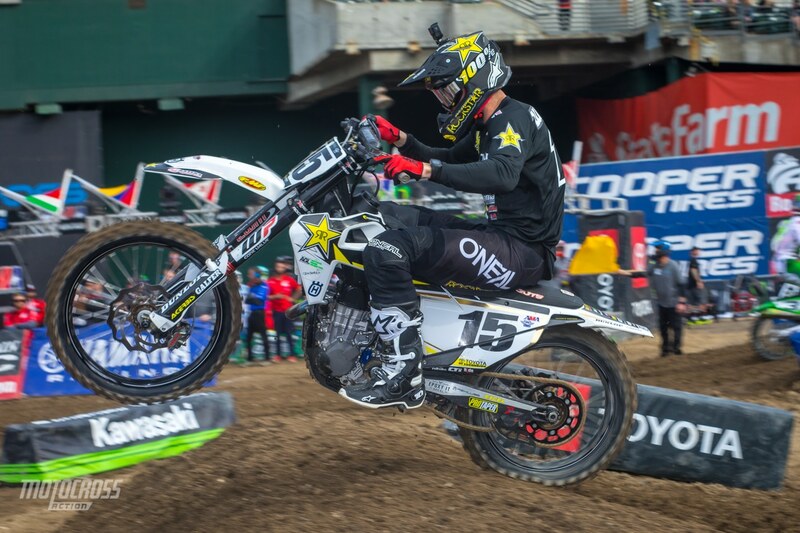 The 450 main event lived up to the hype! 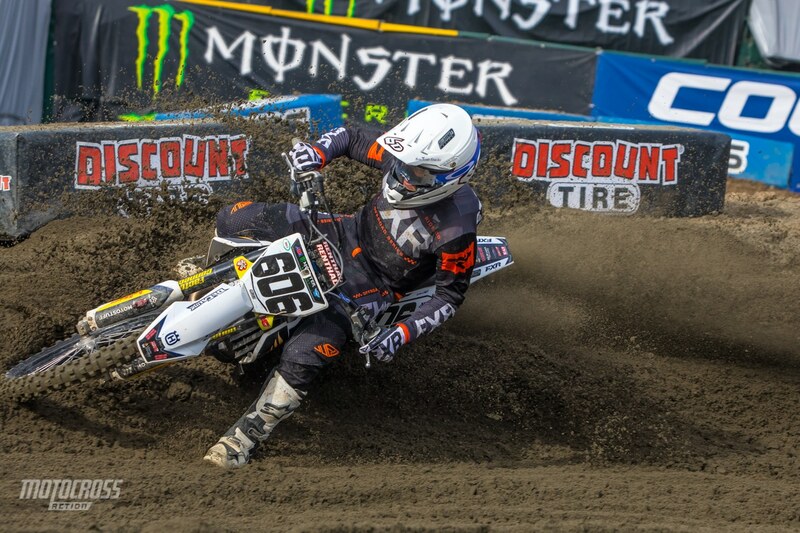 The 450 class has been nothing short of exciting so far this year and Oakland only added to the intensity. Cooper Webb grabbed the holeshot and he looked strong from the get go. 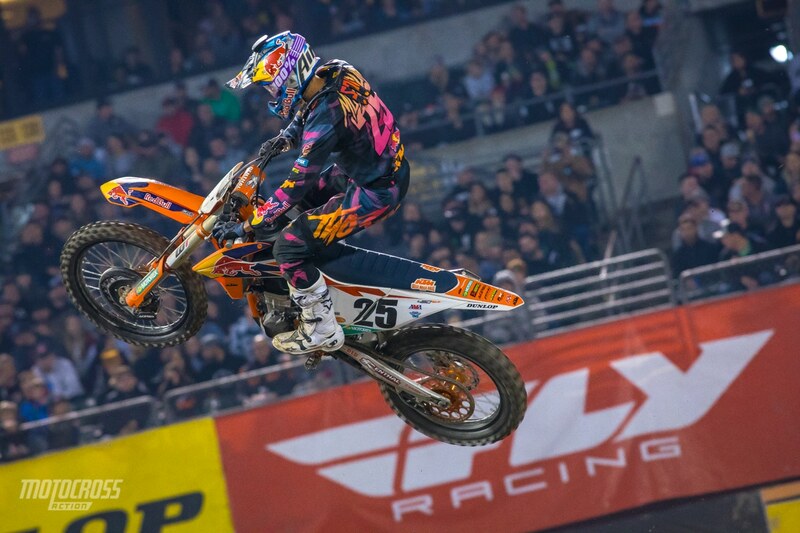 Marvin Musquin was right behind him in second but then he went down and dropped back to fourth. Marvin picked up his bike and passed back up to second. We thought it would be too little too late but Marvin kept on the gas and closed the gap. He got right behind Cooper Webb on the last lap but it wasn’t enough, Cooper takes his second ever 450 Supercross win and the points lead! 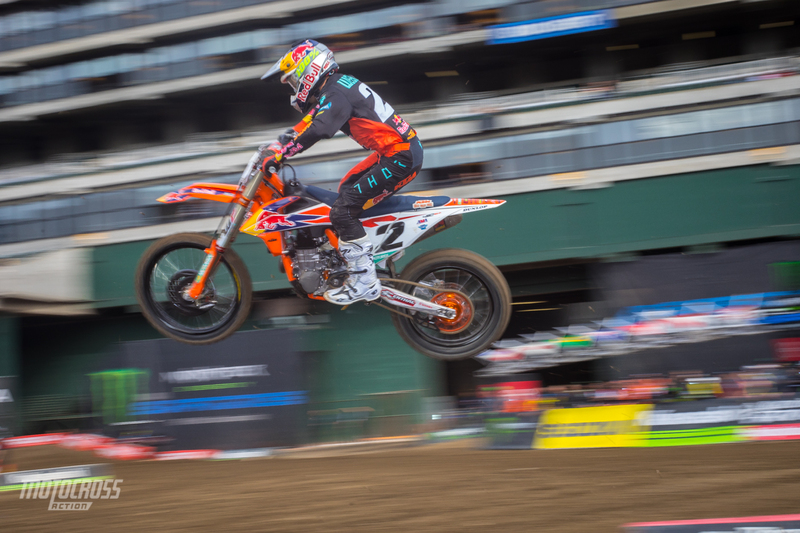 Blake Baggett was blasting through the whoops and he fought through the pack to finish third. 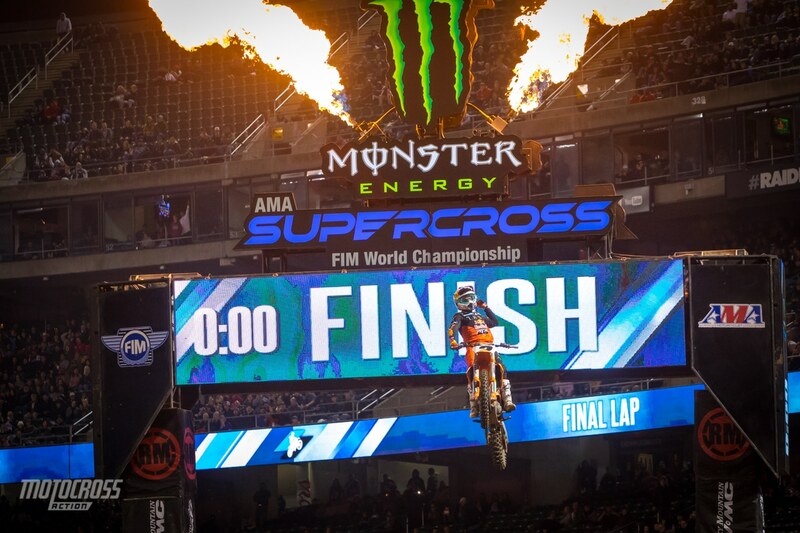 Marvin Musquin put on a hard charge, but it wasn’t enough to take the win away from his teammate Cooper Webb. 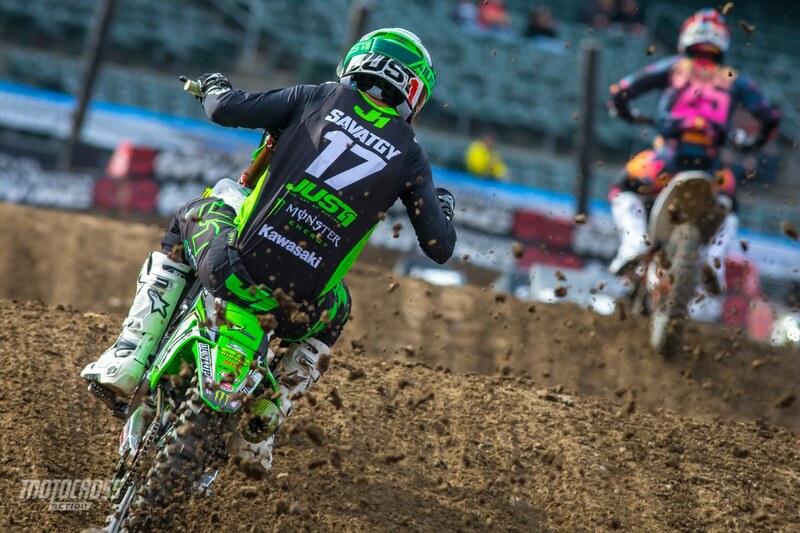 Joey Savatgy looked awesome and was running in third when something happened to his bike. 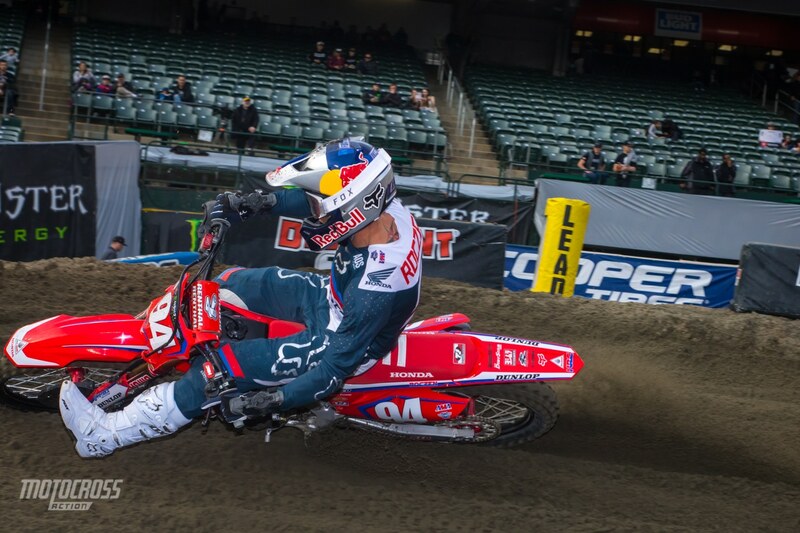 Ken Roczen looked good early in the race, but in the second half he made some mistakes and dropped back to fifth. 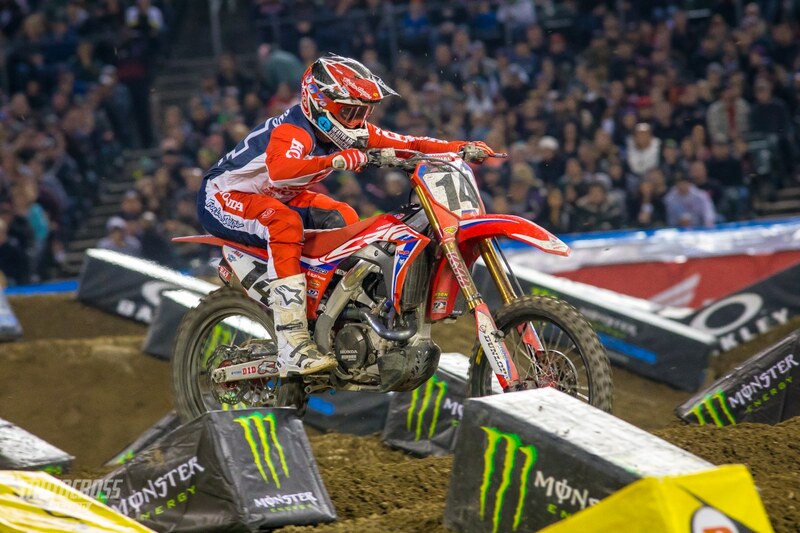 Cole Seely was riding well and he had the whoops dialed. He ran up front early but after a crash he would finish eleventh. 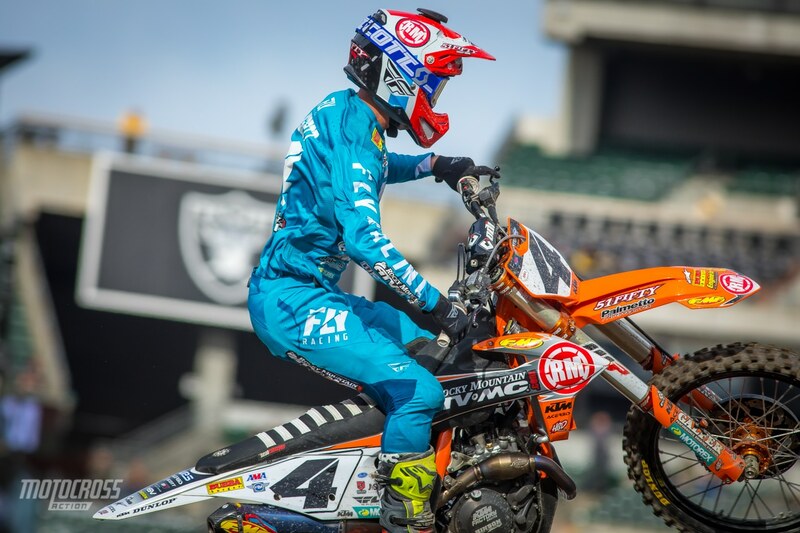 Cooper Webb will run the red plate for the first time in the 450 class next weekend in San Diego. Dean Wilson had a rough heat race. He tweaked his knee and pulled off on the first lap to make sure it was ok. But he came back for the LCQ and took the win. 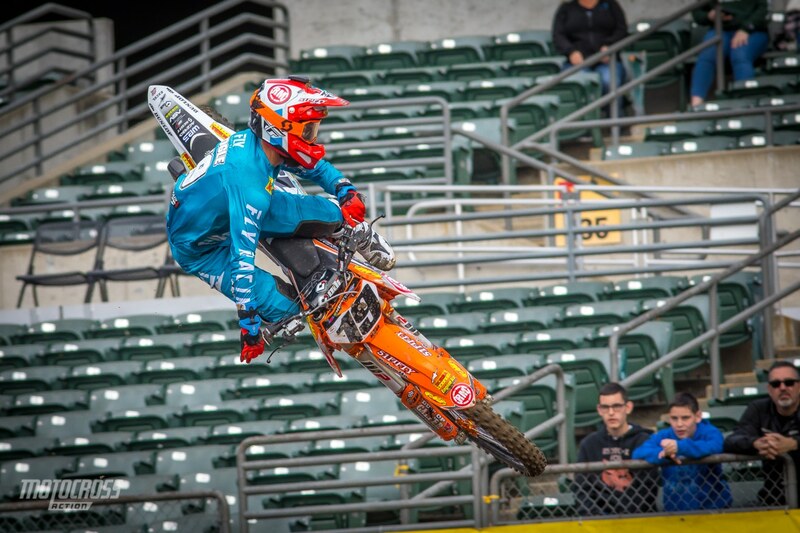 Justin Bogle finished second in the 450 LCQ. Ronnie Stewart was stoked to make another main event, he finished fourth in the LCQ. Cooper Webb grabbed the holeshot and he was controlling the heat race until he stalled his KTM after the first whoop section. Cooper got it started quickly and finished third. Joey Savagty looked awesome and he took his first heat race win. 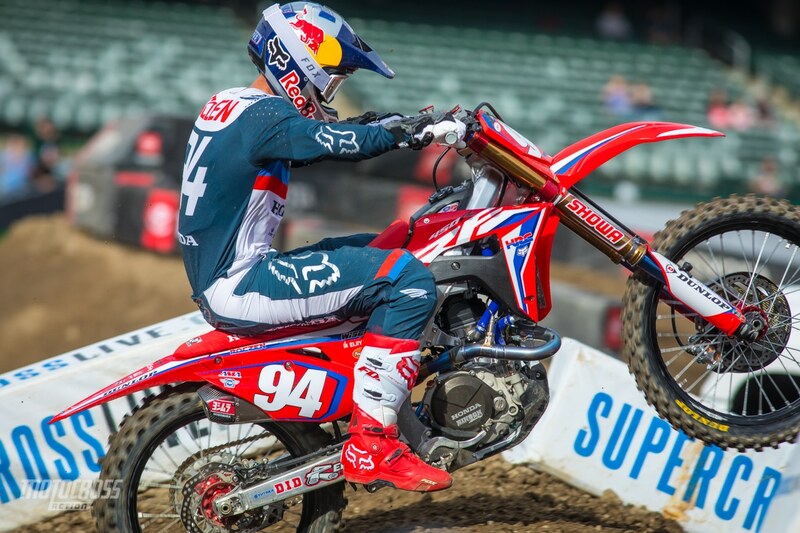 Ken Roczen came from a little ways back and he got close to Joey on the last lap, but he wasn’t close enough to make the pass. Ken Roczen closed in on Joey Savatgy on the last lap, but he wasn’t close enough to make the pass. Cooper Webb got the holeshot and lead the second 450 heat race until he stalled the bike coming out of the first whoop section. He got it started and finished third. 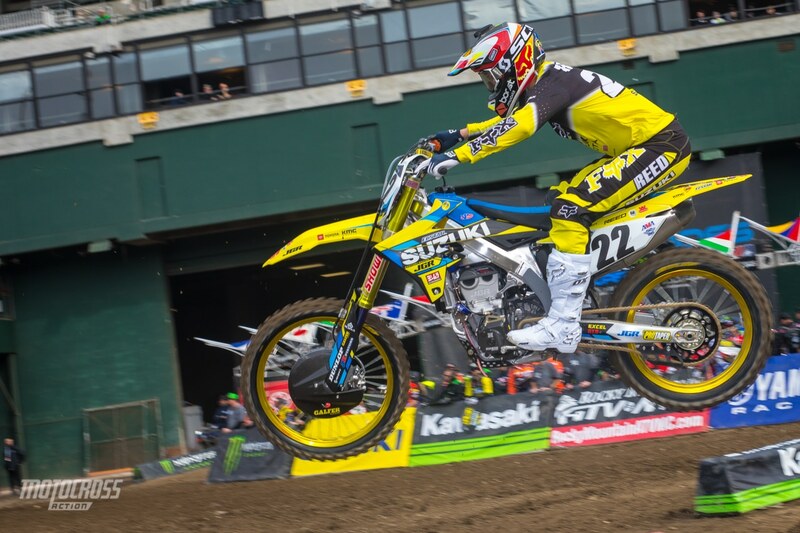 Fan favorite Chad Reed finished an impressive fourth in the heat race and he held off a hard charging Justin Barcia. 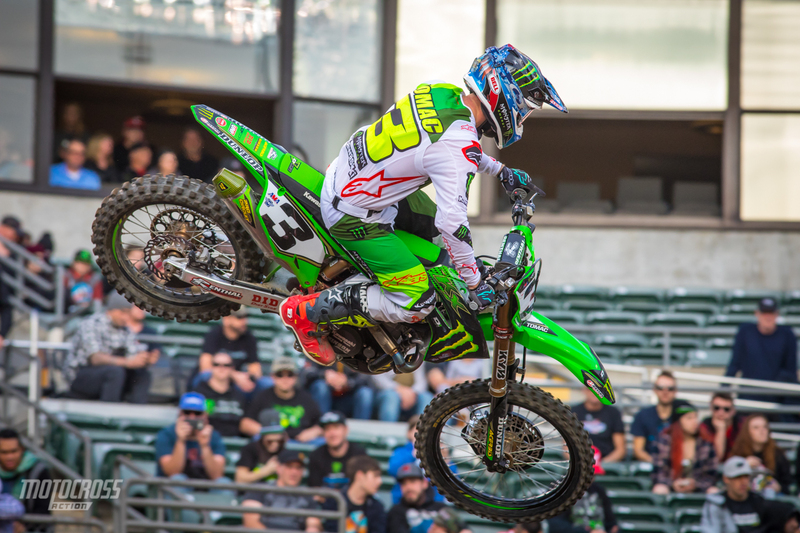 Eli Tomac won 450 heat race number 1. Blake Baggett grabbed the hole shot and the early lead in the first 450 heat race but he didn’t lead for long before Eli Tomac passed him in the whoops. Cole Seely was riding awesome as well, he passed Blake in the whoops also and it looked like he was going to try and make a move on Tomac, but he settled in for a second. 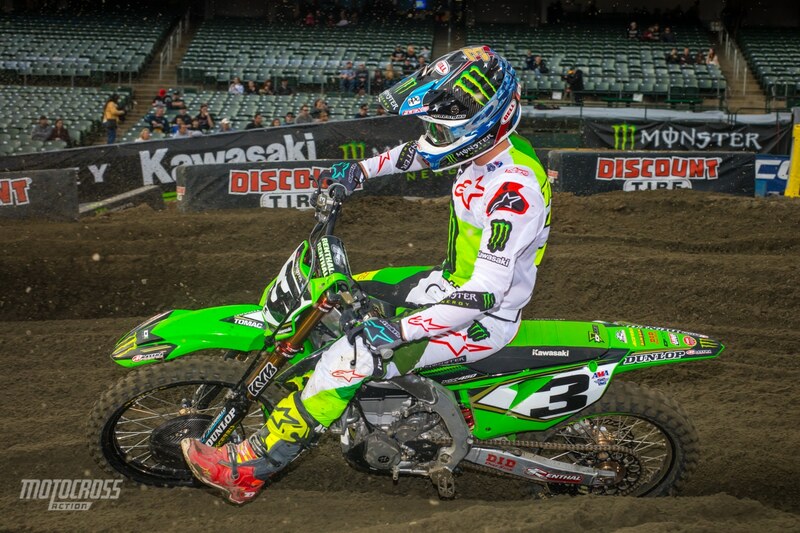 Eli Tomac looks good tonight in Oakland. Blake Baggett looked good in the first 450 heat, he got the holeshot and lead until Eli Tomac passed him in the whoops. 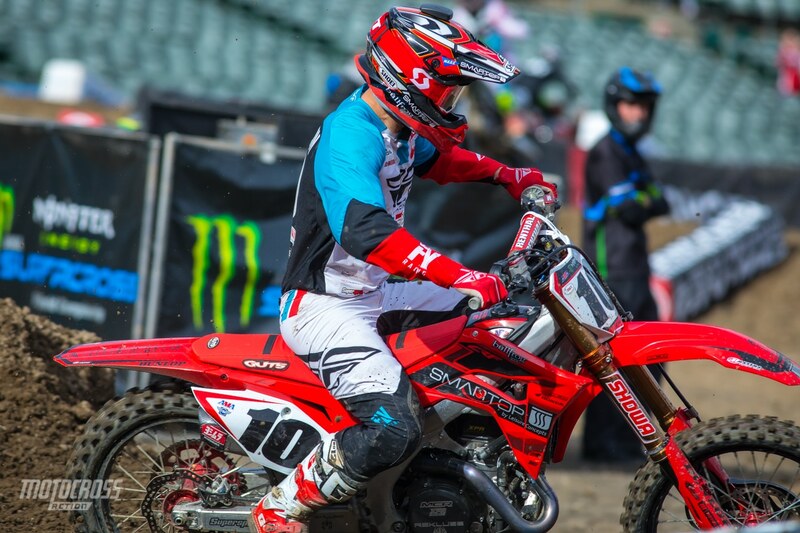 Justin Brayton looked good, he finished fifth.